Co-working spaces have been gaining the attention of late. In fact, metropolitan cities are witnessing remarkable growth in the number of co-working spaces. Why? Obviously, because there is an increasing demand for such spaces. If you are still wondering, what is so interesting and exciting about co-working spaces, maybe you have not experienced or seen one. If you have visited a co-working space, you might have been impressed by the flexibility it offers. Some are busy with their work, while some are having a great time playing games in the game zone. There are no restrictions as such and everything is fine till you manage to finish your work. On the contrary, the productivity of employees shoots up when there are less constraints. 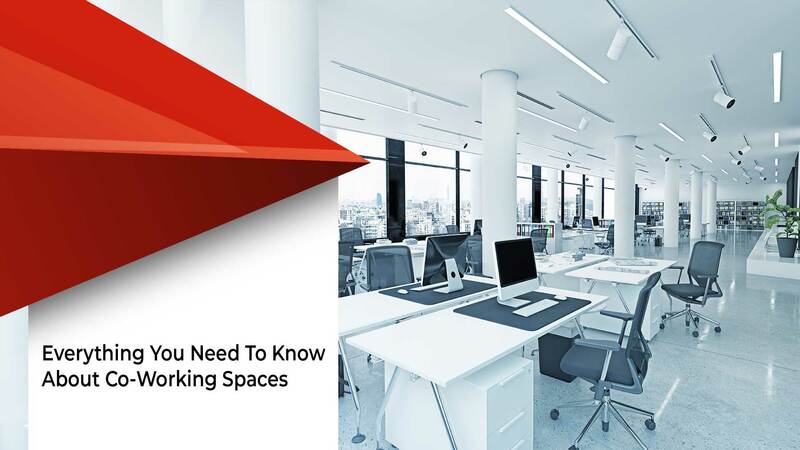 Co-working spaces are highly preferred for its flexibility. Munching on their favourite snack and sipping a cup of coffee, you can spot employees religiously completing their assignments. Co-working spaces have pretty good ambience. You will certainly be impressed with the kind of ambience that such places have. This is of course connected to the above mentioned characteristic i.e. flexibility. While working here, people feel refreshed and rejuvenated as there is positive energy all around. There is probably soft music playing in the background and you have a bunch of creative people working around you. People belonging to different companies work in a co-working space. You get a golden opportunity to interact and connect with a number of people. You can never get this advantage in traditional work areas where people from the same company work in an office. This throws unlimited opportunities to network with people who think differently and have a different vision. Who knows, you might also end up finding potential clients or business partners! The facilities that you enjoy in a co-working space are many. But if you think that opting for such spaces would burn a hole in your pocket, you are completely wrong. Co-working spaces offer numerous amenities at not-so-expensive rates. Gym, recliners, play areas, etc. are all covered under the amount that you pay. There are dedicated staff who work round the clock to ensure that the cleanliness of these spaces is maintained. They see to it that the premises always remain spick and span to ensure the comfort and welfare of the people coming to these places. If there is one thing that best describes co-working spaces, it is flexibility. Today’s youth don’t believe in working 9 to 6 struggling to meet deadlines. While deadlines and work pressure cannot be eliminated, these can be handled in a better way. And if you are a part of a co-working space, you might have noticed that amidst all the work pressure, your efficiency to handle stress has improved dramatically, thanks to the pleasant ambience! Most of these co-working spaces are occupied by startups. These spaces are also an excellent choice for those who work from home. People who work from home are in search of a better place to work that offers an opportunity to connect with like-minded and resourceful individuals.